Don't bother asking Mark Gottsegen - founder of AMIEN, author of The Painter's Handbook, teacher, artist, and all around art materials guru - what's the best type of paint to use? "I get asked this all the time," said Gottsegen, who took time out from writing to speak to me last week. "And I say, well, I can't tell you that." It's not that he doesn't have opinions on the matter, but as someone devoted to the scientific study of art materials he realizes the importance of maintaining an unbiased position. AMIEN, which stands for Art Materials Information and Education Network, bills itself as "the only unbiased source of information about art materials on the internet." They do not accept advertising and do not allow the promotion of any specific products. In a series of forums on the AMIEN website, users can post their questions about art materials and get answers from a team of knowledgable moderators and other experts in the field who monitor the site. (Gottsegen informed me that he personally reviews each answer for accuracy). AMIEN's board of directors includes conservation scientists from top institutions, founders of well-known art supply companies, and artists from around the country. Many of them help answer user's questions on the site as well. While you are never going to reach a consensus among painters about something as personal and subjective as art making, when it comes to materials there are some objective realities that dictate proper use. Sure, you can ignore them, but you do so at your own peril. "If you make [art] out of stuff you don't know anything about, you might make stuff that doesn't last," said Gottsegen. "I'm happy to say to any artist, I'm not prescribing to you how you should make your work. But if you want to make work that you're going to sell, that you want to last, you can't do what you propose to do because it won't last. On the other hand you can make it this way and it will last." What follows is some advice for painters who are interested in seeing their work withstand the test of time, at least in the physical sense. Here are five tips, gleaned from my conversation with Gottsegen that I think painters will find useful, interesting, and possibly even surprising. 1. 'Archival' is a marketing term. The work 'archival' gets thrown around a lot these days in relation to art supplies. But as it turns out, the term is too inexplicit to be of much real use. "Words like archival are used as marketing hooks," said Gottsegen. 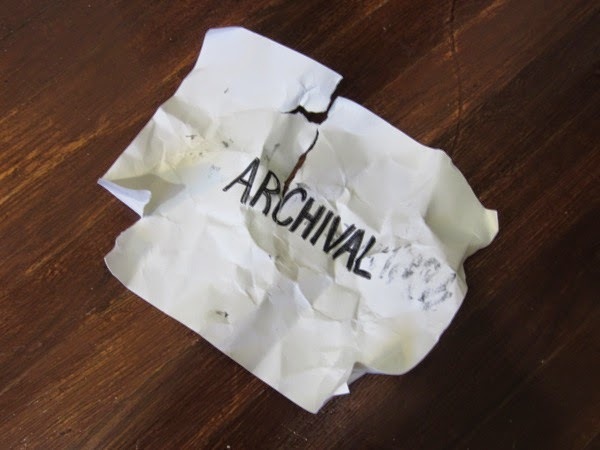 "People assume that if something is labeled archival that means it's durable. But the word does not mean that. The word means, in the context, of or about archives...I think people ought to use the simpler word 'durable' and never mind the marketers." So don't rely on the word 'archival' printed on the packaging of your art supplies to determine the durability of the material. Instead, try to find out what's in it and how it was made. That will be a much better indication of quality. 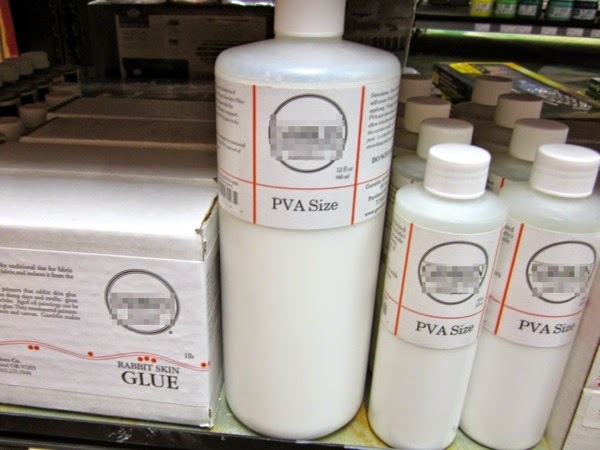 There is a good chance that the white containers lying around your studio labeled 'gesso' are not actually filled with gesso, but with acrylic dispersion ground. What's the difference? "Gesso is a specific material," said Gottsegen. "And acrylic dispersion ground is only related to real gesso in the fact that it's white and it contains chalk. Otherwise, it ain't." 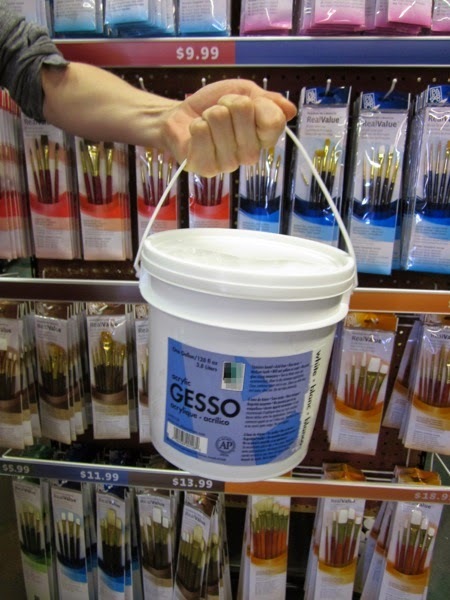 Traditional gesso is a mixture of inert pigment, water, and protein-based glue (like the kind made from an animal hide). It was used historically as a ground for paintings done on panel. Real gesso dries to a brittle film that is prone to cracking, so it isn't suitable for flexible supports like stretched canvas. 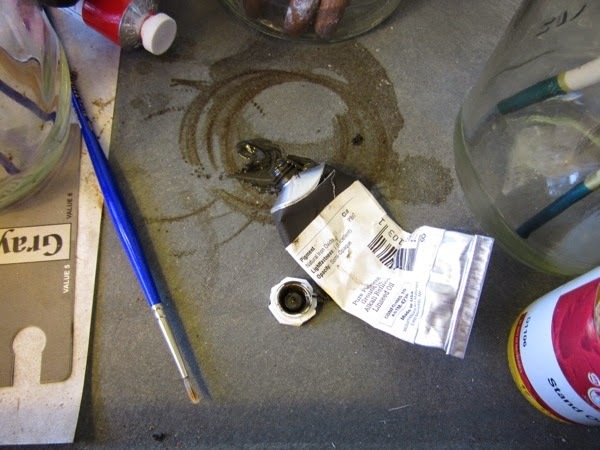 Acrylic dispersion grounds, the most common type of 'primer' found in art stores today, are made with an acrylic polymer instead of the protein-based glue found in actual gesso. Sometime around the middle of the twentieth century, companies started using the word 'gesso' to refer to acrylic dispersion grounds and the term stuck. Today it's common to hear just about any white painting ground - be it real gesso, an oil ground, or an acrylic dispersion ground - called gesso. But in fact they are all different materials, with different properties, suited for different applications. The ground you chose to paint on is an important part of both the aesthetic and structural make-up of your painting. It's worthwhile to look into the benefits and drawbacks of each. Size is a material that can be applied to canvas to protect it from the paint layers above. There are a few reasons you might want to apply a coat of size (like an acrylic polymer or a PVA glue) to the raw canvas before applying a ground. If you choose to use an oil ground on fabric like canvas or linen, sizing is a must. "With an oil ground, you definitely have to use a size," said Gottsegen. "Oil dries by oxidizing. If you strike a match to light a candle, the match is oxidizing, just at a very rapid rate. I used to tell my students linseed oil, or any other drying oil that dries by oxidation, is doing a slow burn." 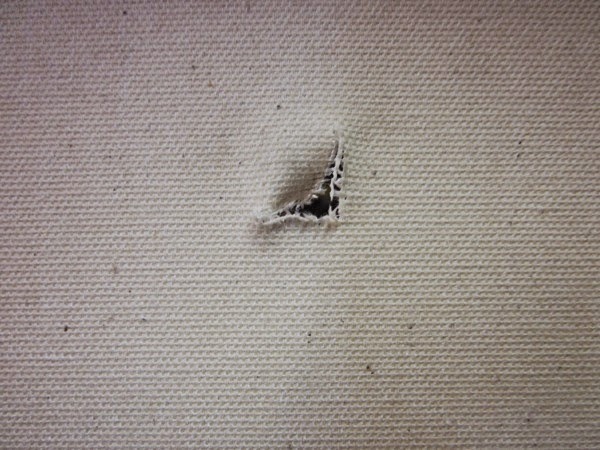 That "slow burn" will eventually rot the canvas, but a layer of size applied to the fabric can protect it by keeping it from coming into contact with the oil. Acrylic dispersion grounds (must...avoid...instinct...to call it...gesso) won't do the same damage to canvas a oil grounds, but you should still use a sizing coat for a different reason. "Acrylic paints stay wet for a while and they can leach organic material out of the canvas," said Gottsegen. "Canvas is not pristine and clean, it's got specks of dirt and stuff like that in there, and acrylic paint that wets the ground enough to wick the organic pollutants out of the canvas can discolor the ground. It's called support induced discoloration and it was documented in a study by Golden Artist's Colors years ago." So if you paint with acrylics and you want to avoid future discoloration of your work, sizing the canvas can help. Traditionally, rabbit skin glue was used to size canvases prepared with an oil ground. Some painters still insist on using it, despite research that proves it to be problematic. Sure, all the old masters used it, but that's because it was the only thing available at the time. "Rabbit skin glue is hygroscopic, it absorbs atmospheric moisture and it expands and contracts vigorously," said Gottsegen. "This was proven 35 years ago. Marion Mecklenburg at the Smithsonian did extensive studies on rabbit skin glue and concluded that it's not a good thing to use...Now that there are better choices, that do not pose such jeopardy to the painting, why not use the better ones?" If you still insist on using rabbit skin glue, there is a way to mitigate its shortcomings. "If you want to use rabbit skin glue as a size on your canvas that is mounted on a panel, that's not a problem," said Gottsegen. "If you put it on a panel that restrains the expansion and contraction, then that's not a big deal." So save the rabbits. Or don't. It's up to you. 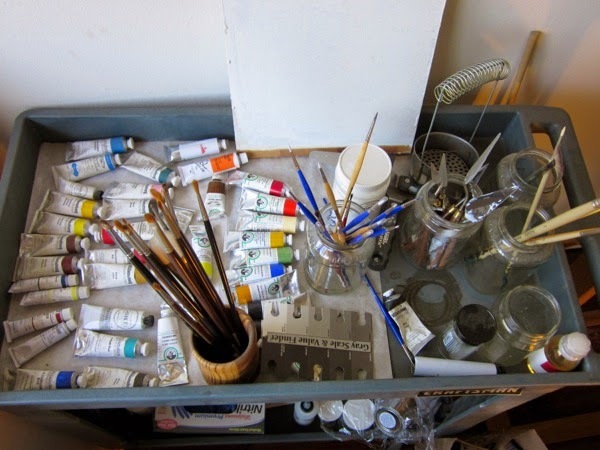 Oil paint can take a long time to dry and many of the problems that affect oil paintings over time have to do with their drying. You want to make sure an oil ground is thoroughly dry before you start painting on it. Some people argue waiting at least six months, maybe longer. Likewise, a finished oil painting needs to dry thoroughly before a varnish should be applied over it. No artist wants to wait months to begin a painting, or to apply the final coat of varnish once it's finished. The truth is, drying rates vary greatly based on the thickness of a painting and on the temperature and humidity levels they are exposed to. When I asked Gottsegen about this, he recommended a useful test to determine if a layer of oil paint is dry enough. In regards to grounds, "if you can stick your fingernail on the [oil] ground and not make a dent in it, it's ready to paint on," said Gottsegen. "Usually, if you keep it in a warm and dry room, a week is good enough." In regards to a finished oil painting, "there's no hard and fast rule because some paintings are thick and some are thin, so some will dry slower and some will dry faster," said Gottsegen. "The fingernail test is a really good test. 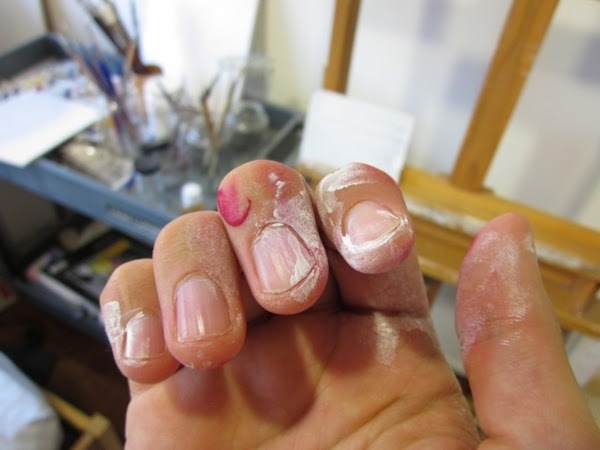 You take your fingernail and you press it on the paint and if your fingernail can leave a mark, the paint is not dry enough to varnish. If it doesn't leave a mark, like a dent, then you can varnish it. I've had oil paintings dry in a month because I don't paint that thickly but then I have friends who paint with lots of impasto and they have to wait a year if they want to varnish." 5. Stretched canvas is poor painting support for oil paints. Bottom line, oil paintings on stretched canvas are eventually going to form cracks. "Linseed oil grounds or even oil alkyd grounds and linseed oil paints or walnut oil paints...they all get brittle as they age," said Gottsegen. "And they are much more likely to crack if they are on a flexible support." The number one thing you can do as a painter to help ensure the durability of your paintings is to paint on a rigid support, like a wooden panel. 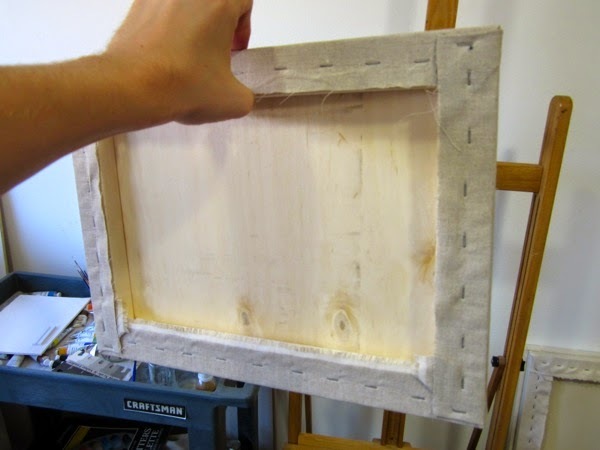 If you prefer the texture of canvas, you can mount it to a rigid support instead of stretching it. "A lot of people don't like to hear that because it makes a very heavy support," said Gottsegen. "But if you're going to paint with oil paint, then [the canvas] ought to be stretched on a panel, not loose." Acrylic paints don't get as brittle as oil paints over time, and they may avoid some of the problems that oil paints encounter as they age. But all paintings, no matter the medium, still risk the possibility of being punctured or torn if they are simply stretched as opposed to mounted. 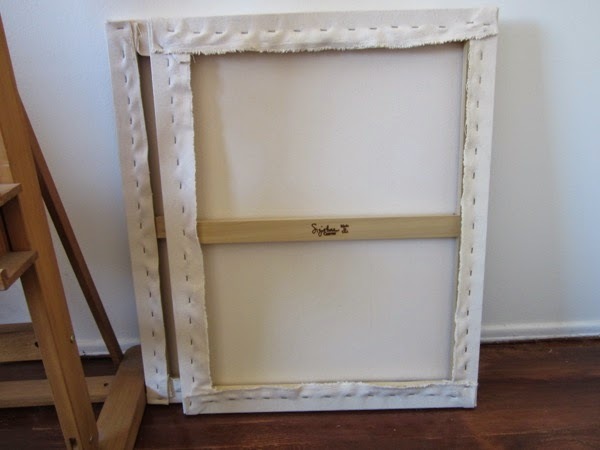 What is a suitable way to mount canvas to a panel? Acrylic dispersion gel mediums make an excellent and durable adhesive. "I put a spoonful on the panel and I spread it out with a spatula and make sure the panel is evenly coated, not very thickly, and then press the canvas on," said Gottsegen. "Sometimes I dampen the fabric with a spray bottle so that some of the gel medium is drawn up into the fabric to make a better bond. I roll it on with a brayer to make sure that everything is sticking and there are no bubble." You can find several detailed descriptions of this process in the archives of the AMIEN forums. If any of this information is news to you, then you've probably made some paintings that don't quite adhere to Gottsegen's advice. Now what? One last tip - how you store a painting after it's been made can play a big role in its durability over time. "It's the cyclical change that's tough on a work of art," said Gottsegen. "Because if you have an organic material like canvas or wood that is continually expanding and contracting, it's bound to give up a little bit. A lot of the risk can be mitigated by environmental conditions. In other words, if you keep the painting in a very stable environment that has moderate room temperatures and humidity that doesn't radically change and no direct sunlight, it will last a lot longer. That's the goal of a museum." Gottsegen went on to point out that museums can spend millions of dollars a year maintaining a proper environment for artworks. That might be out of your price range, but you can at least consider not hanging your work in the bathroom.